Every display of weapons needs a bright and unique addition that will add a touch of variety. 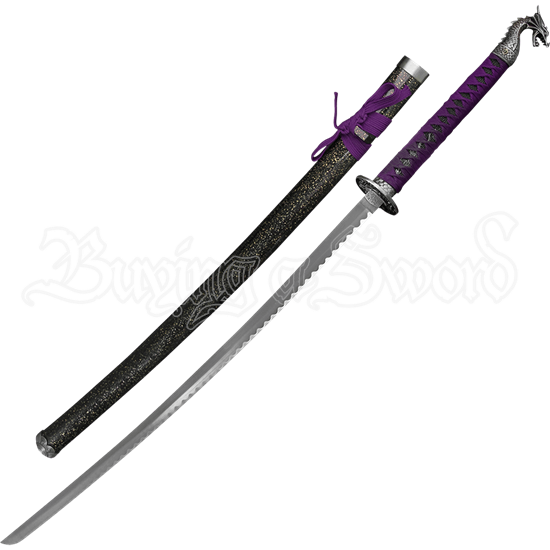 The Purple Handled Dragon Katana has so many eye catching features that it will undoubtedly become the favorite sword in your decor. This single edged blade is made from stainless steel, with a shining finish for a polished look. Decorated with dragon designs, the round guard adds a special detail. Wrapped in bright purple cord, the handle stands out, along with the intricately crafted dragons head pommel. 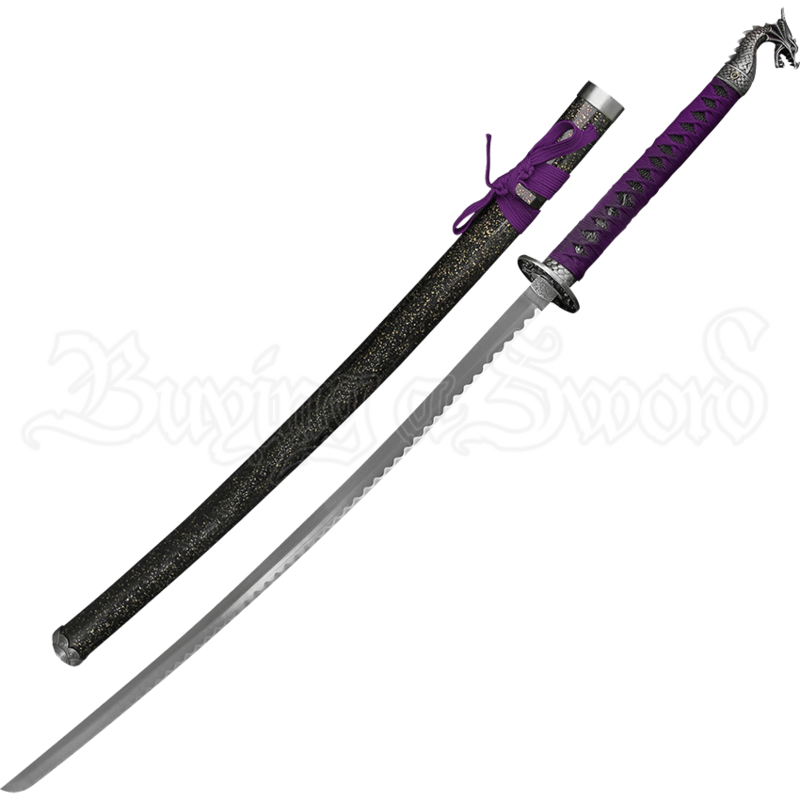 This katana also comes with a black scabbard that features matching purple accents, tying the whole display together. Made sure to bring the Purple Handled Dragon Katana into your home for an exceptional take on a historically revered weapon.